Your child is two-years-old, and his personality is shining through every day. He may be thoughtful and reserved or out to experience all the world has to offer him as quickly as possible. Whatever his preference, he’ll still be learning, and there are things you can do to help him. Your child’s gross motor skills have improved considerably over the last few months. He’s confident climbing up and down stairs—in fact, he’ll climb just about anything—especially furniture, and he’ll be running everywhere. Your child is still prone to sudden stops, planned or otherwise, so you may spend a fair bit of time picking him up after he’s fallen over. He is better at interacting with toys that move; he may even have progressed to his first tricycle. His coordination will have improved enough that he’ll be able to kick a large ball, only if it’s not moving, and possibly even catch it. His fine motor skills are developing as well. His hand-eye coordination has improved enough to allow him to build towers. He’s able to use zips, and now that he’s mastered the pincer grip, he can pick up small items, hold a pencil firmly enough to make meaningful marks, and turn the pages of a book one by one. Toys such as play dough, picture books, and crayons are ideal during this stage because they require the use of his pincer grip which will become important when he learns to write. Your child’s cognitive skills have developed to the point that he can recognize familiar people in photographs and enjoy finer details in pictures. Storytime is important, and picture books are ideal since they allow him to associate images with stories, increase his vocabulary, understand the patterns and rhythms of speech and become familiar with story structure—all essential for when he starts to talk more and learn to read on his own. Your child is also learning to count, and the key to this is repetition. You can count everything from his fingers and toes to how many crayons he has. It’s also a good idea for your child to work on his social skills. Allowing him to play with others will help him develop communication and language skills as well as learn the concepts of sharing and taking turns. This is especially important if he doesn’t have a sibling. Children of this age have a limited concentration span so he’ll need a variety of toys to play with, but make sure you don’t present too many options at a time, so it doesn’t become confusing. It’s not uncommon for children of this age group to develop an attachment to a particular toy—it’s worth considering getting a spare, just in case he loses it. You might also notice he has a preference for a specific activity—bouncing on the bed is common, but he may love dancing and music, drawing or even digging holes in the garden as well. Your child is growing fast and learning so much right now. 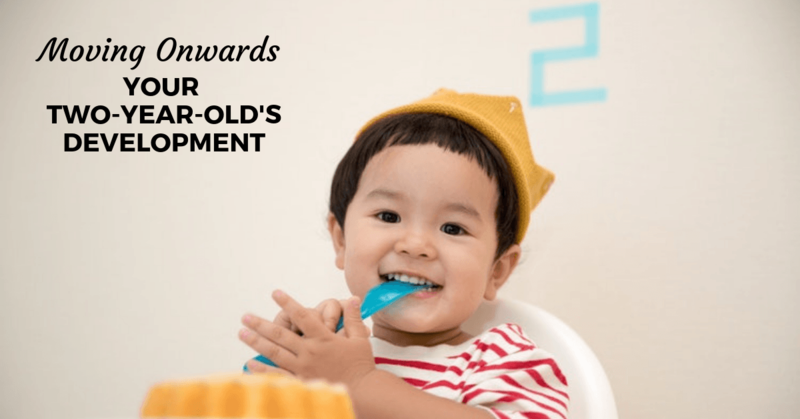 It’s good to know that there are some simple things you can do as a parent that will help him to build a strong foundation that will set him up for his developmental stages later on in life.